I have a friend who refers to himself as a “responsible liberal”, I know right? I thought it was an oxymoron myself when I first read that. But in this person’s case I would tend to agree. I ran into him last week at my certified nurse assistant graduation, after all these scandals with our president and his administration began to surface. My friend and I are dear friends and I am a dyed in the wool conservative. Not a republican since they don’t understand conservatism or the constitution. I have changed my political party affiliations to Libertarianism. Go HERE for a definition of the philosophy. At any rate my friend made comment to which he said I must be in my glory over these scandals. And I told him that all though a small piece of me is gleeful; on the whole all I am is saddened by these turn of events. What Obama did, allowed to happen or caused on his watch is making America look worse than ever. Not just to the world stage but to Americans. This is the first time in my (soon to be) 52 years of life where the pride, honor and respect for this great country is on a fast and steady decline. The american heart still beats but I fear that too will end soon. As president, Obama has done everything in his vast power to bastardize my way of life. Go to THIS previous post I wrote as proof of what he has done. It’s also becoming rather obvious that his idea of governance has more to do with mob related tactics than diplomatic ones. He supports financially, militarily and in his heart, the muslim brotherhood. He is doing everything he can to destroy this nation. But the truth is surfacing, as it always does and his impeachment is coming. As it should. 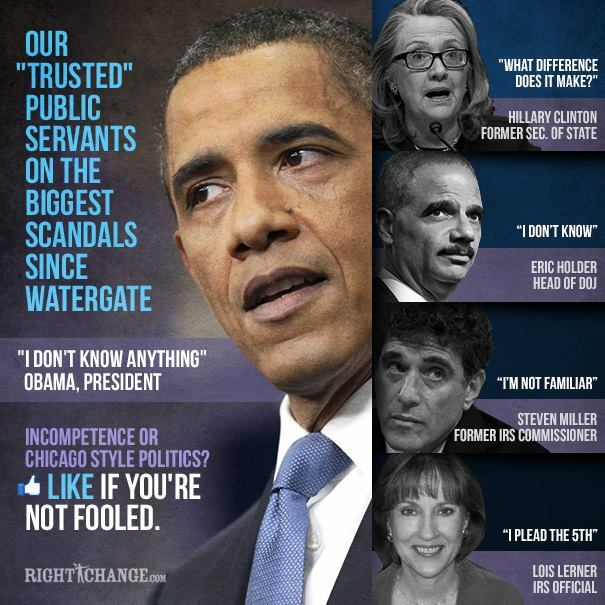 HERE is a piece detailing Obama’s impeachable offenses. 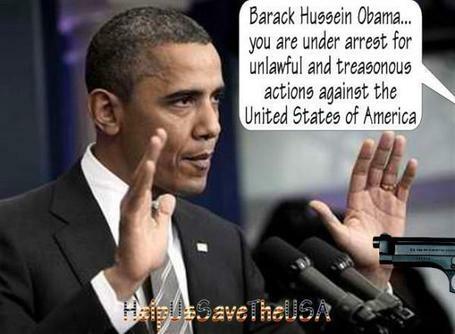 Benghazi alone should get him a charge of treason as his actions prove he is a traitor to our country. And the penalty during times of war, if convicted is the death penalty for being a traitor. But I’ll be happy to get rid of him and his ENTIRE administration any way possible. However, we have to be patient and wait until after the November general elections to shift the power of the senate back into the hands of the republicans. As no bill calling for impeachment will go anywhere as long as dingy Harry Reid still controls. on parents right to choose, parents who; after researching healthy options for their children have refused certain medical procedures. Primarily (for now anyway) parents who refuse to or have stopped vaccinating their children. I thought this information gathering was strictly voluntary but apparently I am wrong. Information is to be gathered by the CDC in order to bring everyone into “compliance”. Regardless of parental choice. HERE, is an excellent overview of what this is all about. Those who have no children please take note, this isn’t just vaccinations for children but for ALL of us. This is very frightening stuff folks. Another example of our rights being taken from us. This all stems from Obama Care. I believe in universal health care as long as the care is for the benefit of the individual and not the corporations. What Obama care is about is dictating to the citizenry how to live their lives. In essence this goes against everything this nation was founded on. For a list of countries that have universal health care please go HERE. The pharmaceutical industry is the corporation in this scenario, and their influence of this mandate is rather obvious for anyone paying attention. See the CDC buys the vaccines for the children’s schedule from the pharmaceutical industry at (probably) greatly reduced rates. The CDC then turns around and sells them to the individual states, marked up of course, and the states sell them to your local doctors marking up the price again. The ENTIRE vaccine program is motivated by money, not by a philanthropic desire to do good. And the pharmaceuitical industry benefits in many other ways too. What better way to have a life long consumer than by adding preservatives, unneeded toxins in reality, to the vaccines? Toxins that no thinking person would go near in any other form. Toxins such as formaldehyde, a known carcinogen and used in the embalming of the dead, anti-freeze, yeah the stuff we put in our cars to keep them from overheating, mercury, a known neurotoxin that kills the neurotransmitters in brains and aluminum a known killer of brain cells. That’s just to name a few, there are many others. The toxins in turn make MOST people sick, which is rather obvious in cases of autism, type 1 diabetes, chrones’ disease, celiacs disease and the rise in childhood cancers. It’s not so obvious in other cases where the onset of the disease is years, sometimes decades later. Some will remember that the SV40 virus was used in the polio vaccine of the 60’s. The virus has been proven to cause cancer in humans. I believe this is one of the causes of the rise of certain kinds of cancers for my generation of baby boomers. So the pharmaceutical industry is making a killing by making us sick, keeping us sick and then supplying the medications to make us “well”. All of these medications of course have side effects that more meds are needed to treat. Oh, and let us not forget the Gardasil debacle. You can read about this from a previous post of mine HERE. This is a vicious and DELIBERATE cycle. A cycle of profits and death and no one who can do anything about it is willing to. Because those government agencies are making money hand over fist too. All the while they are protected from being sued. The pharmaceutical industry by the NVICP (national vaccine injury compensation program) which in and of itself is a joke as it’s very difficult to win in this kangaroo court but at the same time it protects the industry from being sued directly. So for the industry it’s a win-win situation. And of course the government and it’s departments have blanket protection from citizens suing under sovereign immunity from prosecution laws, devised of course by the government itself. For detailed information on these laws go HERE. So, back to this manditory vaccine registry. Of the countries that have universal health care coverage 15 of the 29 the researchers gathered information on do not have mandatory vaccinations. The other 14 have at least one mandated vaccine. For more detailed information please go HERE. With all this information being known, it’s no wonder the CDC is trying to (and failing thanks to other bloggers and myself) keep this mandatory tracking under wraps. Well I guess I’ll be a whistleblower. I wonder if whistleblower protection laws would protect me. I doubt it, but I don’t care because unlike the government and the pharmaceutical industry I care and I have a moral center! Think Ron Paul is Out of it?? April, What Does It Mean? What the Devil is Going on? ?